Ep #216 – Robert Mueller – How To Increase Your Dog’s Lifespan, Prevent Disease & Save Money By Feeding Your Dog The BARF Diet! Today we had a fascinating conversation with Robert Mueller. 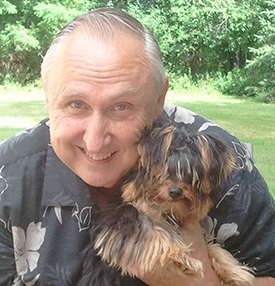 Robert is the author of a book called Living Enzymes: The World’s Best Kept Pet Food Secret and he’s an expert in the BARF (biologically appropriate raw food diet) diet for dogs and even other animals as well. We talked about a lot of fascinating information. One of the things that really stuck out to me during the show was just how bad conventional dog food is. Robert mentioned that when dogs die they get put to sleep usually using some kind of drug (I know because when I was in high school I worked at a vet clinic and had to assist the doctor in putting down dogs from time to time). He’s one of the brains behind http://www.barfworld.com which is a company that provides the healthiest dog food on the planet. This drug (along with other chemicals like vaccinations, antibiotics and anesthesia if they’ve ever had surgery) get locked into their tissues and never really leave their bodies. What’s particularly disturbing though is that these dogs that get killed because they’re filled with cancer or some other disease get sent to the rendering plant where they get added to dog food! So dog’s are essentially eating themselves when you buy them conventional dog food. They do the same thing with road kill that’s been lying in the streets when rodents get hit by cars. They’ll take these animals and add them to the rendering plant. Not to mention how disgusting all that is, but they’ll typically sell this “food” in metal containers that leach heavy metals into the food. It’s disgusting. And we wonder why our animals are getting cancer and other diseases. I believe you could add 5 or more happy and active (not to mention disease free and vet free) years to your dog’s life if you were to feed them correctly as early as possible and giving them enough walks each day for exercise. I like to feed Maggie large amounts of spring water when we have it or alkaline water we get from Carlsbad. 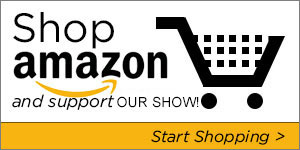 I never feed her tap water unless it’s filtered using our water filter from Friends of Water (listen to our interview with the owner Timothy Hickey here). It’s important that our furry little friends are not drinking water that contains fluoride or calcium in it. I would highly recommend looking into the BARF diet. It contains the perfect calcium to phosphorus ratio so your dog has strong bones and a great immune system. It has the right balance of organic, free range muscle meats, organ meats and bones to create the perfect PH balance in your dog’s body. They come in perfect little frozen patties that your dog will love. We’re going to be starting Maggie on a 90 program doing this BARF diet and see how she goes. We’ll have Robert Mueller on again after to see how the expirement goes and how much she improves. Right now we feed her clean water and she already eats a raw food diet and gets about 3 20 minute walks per day. So she’s pretty healthy but we want to see how healthy she can get. 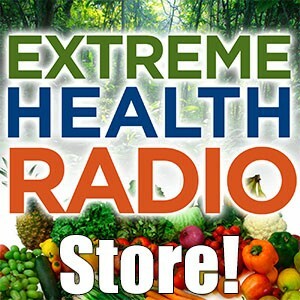 If you would like to get a discount on this dog food they’re running a generous special for Extreme Health Radio listeners. Enter the code extreme into the box at checkout to get your substantial discount and try the 90 BARF diet challenge with us! Then we can all talk about it in the forum. Please share your experiences! Enter our monthly give away contest! Friends of Water, Water Filters We Use! Robert Mueller, Bsc Pharm is a registered pharmacist, author of “Living Enzymes: The World’s Best Kept Pet Food Secret”, and co-developer of BARF World’s BARF diets patties, nuggets and supplements. 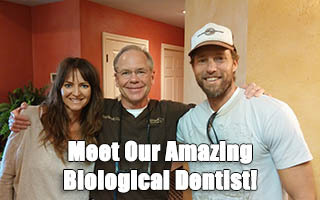 Rob has helped zoos worldwide incorporate the proper raw food diets for their carnivorous population of animals. He has consulted hundreds of pet owners on how to improve the health of their pets using the BARF Diet philosophy. He and his wife love to travel around the world with their dog, Moxie – a Yorkshire Terrier/Maltese mix. Previous Post Ep #338 – Laura Shanley – How She Gave Birth Naturally At Home To 4 Children With No Assistance Even When One Was Breeched Next Post Ep #259 – Shawn Stevenson – Incredibly Unique And Helpful Tips For Improving Sleep, Gaining Energy & Feeling Great!